As promised I'm going to try and populate the site with some more content from now on and whilst not everything will be tech related there are other facets of F1 that are worthy of attention from time-to-time. The Mexican GP, it wasn't a classic was it? Perhaps that's why there was such a swell of controversy around Lewis Hamilton's first lap lawnmower antics, Verstappen's playstationing of the same corner and the heated battle and war of words between Max and Sebastian. These events are all part of a culture of issues that have bubbling under the surface for some time now but have intensified because everyone now has a voice, be it me on a blog or you via your collection of social media accounts. The same contentious decisions may have cropped up in the sports past but you were left to shout at your TV or go outside and shout at clouds, either way no-one involved in the sport got to hear about your concerns and simply moved onto the next race. Can you imagine the social media furore that might have surrounded the Senna and Prost or Schumacher and Hill battles, to name but a few, of yesteryear? The biggest issue we're dealing with is interpretation, as the rules are just guidelines, interpreted differently by each set of stewards that just happen to be ruling on them that given weekend. Now let me point out that I'm not saying these guys do a bad job, I'm just suggesting they're a variable and not a constant one. Three stewards oversee each event, assessing any potential issues that have been passed to them by race control. Two of the stewards are senior personnel from the FIA, not necessarily F1 but understand Motorsport and the rules and regulations more than a man off the street. The third steward is an ex-driver, something that was added to the stewarding procedure back in 2009 and give a differing perspective to the other two stewards, as they understand the racers mindset. These three stewards have far more data and imagery to work from than we have access to and so even when 'we' as a collective reach a judgement that the stewards do not we must accept this. We must also accept that bias plays a huge role in the collectives judgement and is primarily where we see mud starting to be slung. The sporting regulations and sporting code can only go so far as to explain every nuance of a race situation before you end up with regulations that contradict one another and so at some point there must be common sense applied. The problem is that common sense is something that is often clouded when a driver you follow is seemingly wronged by another and where you must defer to the judgement of the stewards. Suggesting that a rule is wrong, or applied in the wrong way, is something I see all the time in social media spats but just like your trip to the roulette table you have to understand that the odds are reset every time the wheel is spun. However the rules are applied there is going to be a winner and a loser, and if your driver is on the losing end of that decision you're going to kick up a fuss, right or wrong. Just before we depart the subject of the incident laden end to the Grand Prix there is one thing I haven't seen mentioned elsewhere but struck me straight away. Vettel began moaning about Max backing the Ferrari driver into his team mate but seemingly forgot the catalyst to the situation. Max drove across the grass having locked his front tyres, when he out braked himself into turn 1. For me, this wasn't a canny move by the Dutchman, rather unravelling of the events. High temperature load into a well worn set of tyres as he locked up, followed by a rapid cooling of the damaged surface compound as he run across the grass. Something that the teenager immediately realised as he weaved down the next straight to try and clean the tyre and get some temperature back in the tyre. The subsequent events were simply a result of this, rather than a deft plan from him to assist himself and his teammate. 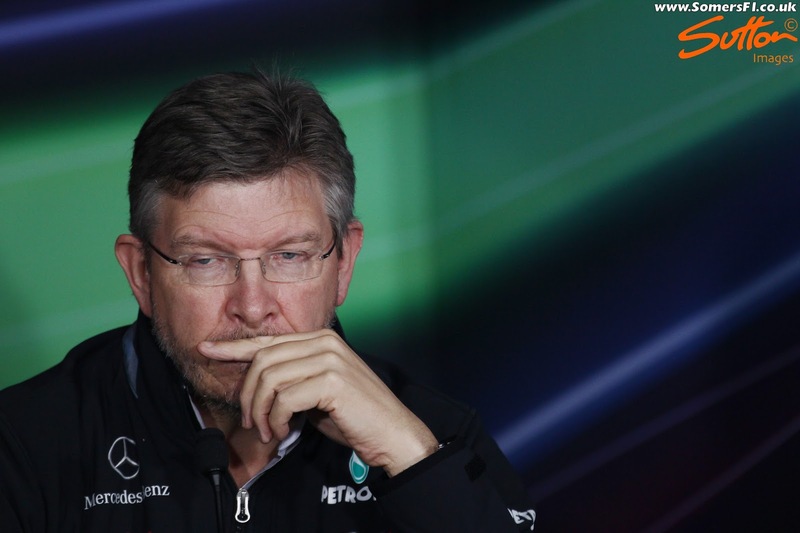 So, unless you've been hiding under a rock the latest news to do the rounds was that Ross Brawn was to be bought on by Liberty Media, as part of a two man team to replace Bernie, with Ross facilitating the technical aspects of the role. Sort of the middle man if you will, between the teams/strategy group and the FIA/WMSC. In an interview with the BBC, Ross admitted that he is indeed working with Liberty Media, but only as a consultant for the time being, as they close in on the purchase of the sport - http://www.bbc.co.uk/sport/formula1/37847748. However, Ross has admitted that he'd be interested in a role within the sport that could help to shape the future direction of the technical regulations. The issue I see with this actually unfolding is that Ross has also alluded to the fact that he hated the political warfare that the sport encourages in his previous roles, something that would inevitably crop up as he went head-to-head with the teams to change anything down the line. Ross has a huge pool of experience from which to pull from IF this role ever became a reality and has often alluded to the broken structures that are currently in place that need to be rectified. For example he knows only too well that regulation changes cannot be implemented overnight and nor should they such is the pace of development in Formula One. One could argue that the changes coming in next season are irresponsible for example with the sport exceeding the expectations that many had at the beginning of the last rule change. The ink was hardly dry on the current crop of designs in 2014 before it was ordained that "things must change!". What these 'things' were never really got answered and or fixed but instead we have a new set of regulations for 2017 that has increased the cost of competing in the sport significantly over the last three seasons. Don't get me wrong I'm not one of the doom mongers that think the 2017 regulations will destroy racing and can see some of the positives. However, I'm left with a bad taste in my mouth because the current cars are breaking lap records already, why do we need faster cars? Will anyone actually notice? Does it improve the racing? The answer to all of these questions is an overwhelming NO, Especially when everyone realises that every lap record is broken that it has no real significance. The thing is with the landmark regulation changes is that you have to look at the bigger picture, the cars that rolled out in pre-season testing in 2014 are a shade of the machines we're seeing in 2016, multiple seconds quicker and more spectacular to watch. However, the knee jerk decision to 'change it all', just because some people were displeased by the lack of sound was just buckling under pressure. 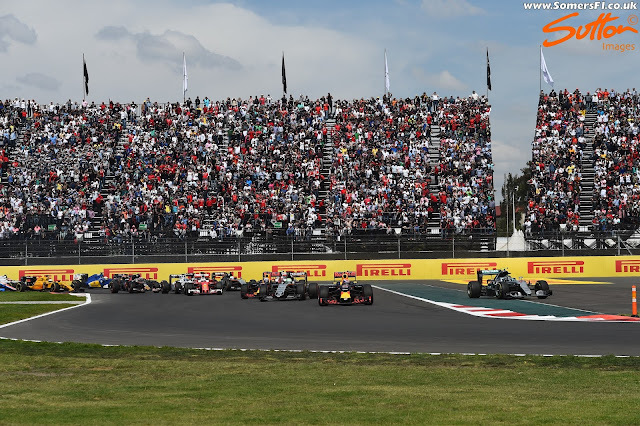 Furthermore, a big reset like we have coming up next year means that only the well equipped can thrive, the rest are fighting over scraps and whilst we might not see a Silver Arrow at the front of every race next year it's likely that someone else will simply take their place, leaving the rest to battle amongst one another. To truly change the shape of the sport, an independent working group is the only way forward, as it gives objectiveness rather than seeing rules formed by teams with diverging agenda's. I liked the last 3 paragraphs of the article. However, I am a doom monger, as you put it. I think these 2017 regulations for better, more exciting racing goes in the wrong direction. Relaxed rules over aerodynamics and bigger tires will only gives us more of what we're seeing now. Cars cannot run close together and we'll see even fewer passes under DRS. For 2017, I have 2 predictions for the season: a furious development race will occur at the start of the season, risking the financial life of 1 or 2 teams and 1 race either canceled or diminished over the Pirelli tires.